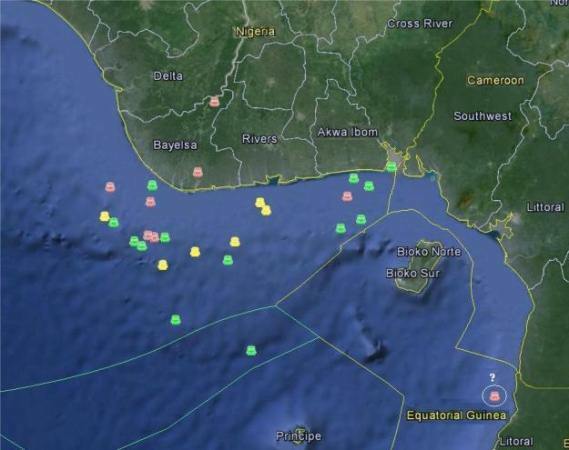 The first ten weeks of 2014 have witnessed the resurgence of maritime kidnap-for-ransom off the coast of Nigeria’s Niger Delta. This distinct form of piracy does not receive the same international attention as does the hijacking and robbery of multi-million dollar tanker cargos, but it poses an omnipresent threat to greater number of mariners. Although the vast majority of incidents go officially unreported, Nigerian pirates have attacked at least a dozen vessels and kidnapped about 20 seafarers so far this year. In the first week of March alone, pirates boarded three supply vessels, reportedly seizing nine hostages. Maritime kidnap for ransom is a crime deeply rooted and geographically concentrated in the Niger Delta. Like other forms of piracy in the region, it is the product of onshore dysfunction and insecurity coupled with a target-rich environment at sea. Delta pirates primarily target vessels plying the country’s petroleum industry. After boarding and ransacking a vessel, the pirates will kidnap the most valuable crewmembers (most commonly Western or Asian captains, officers, and chief engineers) and then return to their mangrove-swamp camps to conduct ransom negotiations. This type of crime is by no means new to the country and reached its peak during the Niger Delta insurgency at the end of the past decade. Militant groups, often operating under the umbrella title of the Movement for the Emancipation of the Niger Delta (MEND), kidnapped expatriate workers both to fund their operations and to force concessions from the Nigerian government and foreign oil companies. A 2009 government amnesty, in which militants were bought off with security contracts, education bursaries, and cash stipends, resulted in a brief decline in oil sector kidnappings, but the crime has now returned with vengeance. Although there were no kidnappings off Nigeria reported to the International Maritime Bureau (IMB) in 2011, the number of kidnapped mariners jumped to 26 in 2012 and then to 36 last year. Kidnap for ransom is also increasing relative to other types of piracy (such as petty robbery and tanker product theft), notes Major Bryan Abell, with 60 percent of pirate boardings off Nigeria in 2013 resulting in abductions—up from 53 percent and 28 percent in 2012 and 2011, respectively. Reported kidnappings in the Gulf of Guinea from 2012 to 2014. Delta pirates display an impressive level of maritime domain awareness. Anecdotal reports and tactical analysis suggest that they monitor the routes their target vessels travel between oil fields, terminals, and ports, making note of both schedules and observable security measures. The pirates are also known to access the vessel information provided to onshore agents. Knowledge of crew composition and nationality is particularly important for assessing the value of potential hostages. The kidnapping of two American officers from the supply vessel C-Retriever, for example, may have been a pre-informed attack. On Oct. 17, 2013, the ship’s American owners received a letterthreatening kidnappings if more local workers were not hired. Six days later, pirates attacked the vessel just after it left the security perimeter of the Agbami oil field. 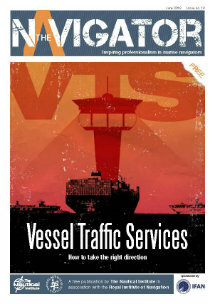 Offshore support vessels—with their slow speeds, low freeboards, and predictable routes—are the pirates’ favorite mark, but tankers, bulk carriers, tugs and cargo ships are also targeted, albeit with lower rates of success. Delta pirates typically operate in groups of 4-10 and use one or more high-speed skiffs to close on their prey. Once the element of surprise has been lost, the attackers will fire on the target vessel and attempt to board using ladders and hooked ropes. Most kidnappings occur between 12 and 50 nautical miles off the eastern coast of the Niger Delta. The waters off Bayelsa state are the most dangerous, but 2013-2014 also witnessed the spread of these attacks eastward towards Akwa Ibom state and the maritime borders of Cameroon and Equatorial Guinea. The pirates’ range has increased over the past two years, with several outlier attacks occurring up to 150 nautical miles offshore. The use of hijacked “motherships”—typically supply vessels and fishing trawlers—has enabled this expansion and demonstrates a heightened level of organizational planning. Many analysts have cited a Jan. 3, 2014, kidnapping of three mariners from the cargo ship San Miguel off the mainland coast of Equatorial Guinea as an indicator that Delta pirates are now expanding deep into the waters of neighboring states. There is reason to doubt this assertion, however, as local police reports and security sources claim that the incident was more akin to mutiny than piracy, with members of the crew allegedly colluding with their ‘attackers’ to steal cargo and ransom the ship’s officers. Pirates receive protection and support from onshore networks in their communities, allowing them to conduct ransom negotiations (typically lasting under a month) with rare interruption from security forces. Shipping and oil companies are known to discretely pay ransoms of between $50,000 to $100,000 per head. The largest reported ransom was the $2 million allegedly paid in November 2013 for the release of the two Americans seized from C-Retriever; a sum suspected of prompting further attacks. The increase and expansion of kidnap for ransom piracy is likely the result of a cost-benefit analysis, in which kidnapping represents a quick and lucrative income, with little risk of punishment, for groups of young delta men with many grievances and few options. The Niger Delta accounts for the vast majority of the country’s $50 billion annual oil revenues, yet over half its population lives in poverty with a youth unemployment rate of 40 percent. The government amnesty has resulted in a fracturing of militant groups such as MEND, but has not addressed the underlying conditions that drove the insurgency. As Major Abell examines, Niger Delta states with higher levels of development, security, and militant reintegration, such as Delta state, have fewer pirate attacks occurring in their waters than Bayelsa and Akwa Ibom where underdevelopment and militant grievances are rife. Many ex-militants, particularly in Bayelsa, claim to have been shortchanged or excluded from the amnesty program and have launched retaliatory attacks on security forces and oil facilities over the last two years. The concurrent increase in piracy is likely a response to these same grievances, as ex-militants dissatisfied with the amnesty program seek out an alternative revenue stream. While kidnapping and oil theft were once part of a larger resistance movement, criminal gangs have now reduced them to means of economic survival and advancement. Kidnappings off the Niger Delta are cyclical phenomena that respond to a number of economic, political, and security factors ashore. The wave of attacks in early March can thus be seen as both a temporary spike and as an indicator of a high persistent threat level. Nigerian and regional authorities have helped curtail tanker hijackings by implementing safe-zones around vulnerable anchorages, but little has been done to suppress kidnap-for-ransom attacks off the Niger Delta. The high-risk area where these attacks are now occurring, extending over 30,000 square miles, is simply too large to effectively patrol. The expansive maze of rivers, creeks, and jungle camps from which the kidnap gangs operate offers the criminals a similar geographical advantage. Vessel hardening, crew vigilance and the use of citadel safe rooms have prevented a number of would-be kidnappings, but these measures are neither fail-safe nor collectively implemented. Offshore supply vessels, particularly those owned by Nigerian subcontractors, will remain the least secured and thus most vulnerable targets. The waters off Bayelsa state will continue to be the most dangerous, but the southwestward expansion of attacks toward the borders of Cameroon and Equatorial Guinea is expected to continue. Rare outlier attacks up to 200 nautical miles offshore may persist, but the majority of incidents will likely fall in the 12-50 nautical mile “sweet spot” where targets are abundant and enforcement is thin. Despite some self-aggrandizing claims to the contrary, the resurgence of a MEND-style insurgency is unlikely in the coming year. Nigerian President Goodluck Jonathan, himself from Bayelsa state, has earned (or bought) the loyalty of many ex-militants and diminished claims that the Niger Delta is marginalized by the capital. Former militant leaders have been co-opted with security contracts, imprisoned, or killed by Nigerian security forces. A February 2015 general election looms large over the Delta, however. Jonathan retains a power base in the region, but has been challenged by the defection of Rivers state Governor Rotimi Amaechi to the opposition party. One of the debated issues is whether the government should contain to pay some $500 million a year to sustain the amnesty program. The political co-option of criminal groups is an established form of “politics by other means” in the run-up to Nigerian elections and may translate to a spike in kidnappings and other forms of littoral crime. The greater danger, however, is that the election of a non-Delta president and the cessation of the amnesty program will quickly dissolve the Niger Delta’s uneasy peace. The article was initially published in USNI News, U.S. Naval Institute’s online news and analysis portal. USNI News is the U.S. Naval Institute’s online news and analysis portal. The article is reproduced here with the kind permission of the Author and USNI News. 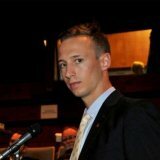 James M. Bridger is a Maritime Security Consultant with Delex Systems Inc. in Herndon, VA. His current areas of focus and expertise address piracy, terrorism, and other irregular threats to global maritime transportation. James has consulted on these issues for the NATO Defense College, US Government Accountability Office, and a number of private companies. His work has been published in a variety of forums including the US Naval Institute and Foreign Policy. The acts mentioned here are, for the most part, not Piracy but criminal acts where the Port State is responsible for the apprehension of the criminals. Piracy is defined under UNCLOS Article 101 under definition of Piracy. If people are going to write please get your facts right. Of course with the US not being party to UNCLOS it is not surprising that they get their words mixed up.